We know cedar is great for indoor use. Is it a good outdoor wood for your Columbus outdoor living space? Many of my customers choose composite decking for under their feet because you can’t beat it for durability and ease of maintenance. But humans have been building with wood for thousands of years and I think we’ll always respond on an emotional level to its feel and beauty. That’s why I frequently suggest that homeowners who want to integrate natural wood into their project consider adding vertical elements made of cedar to their composite deck design. Cedar is a little softer than pine, but it contains oils that keep it from expanding and contracting the way that pine will during the freeze/thaw cycle that we have in central Ohio and throughout the Midwest. It’s also, to my eye, a much prettier wood than pine. It has wonderful color and grain patterns. Cedar is also very accepting of a wide range of stains so you can get the look that you want. It contains naturally occurring fungicides which give Western Red Cedar its resistance to decay. Properly finished and cared for, cedar has a superior lifespan when used for applications above the floor. great uses for red cedar. 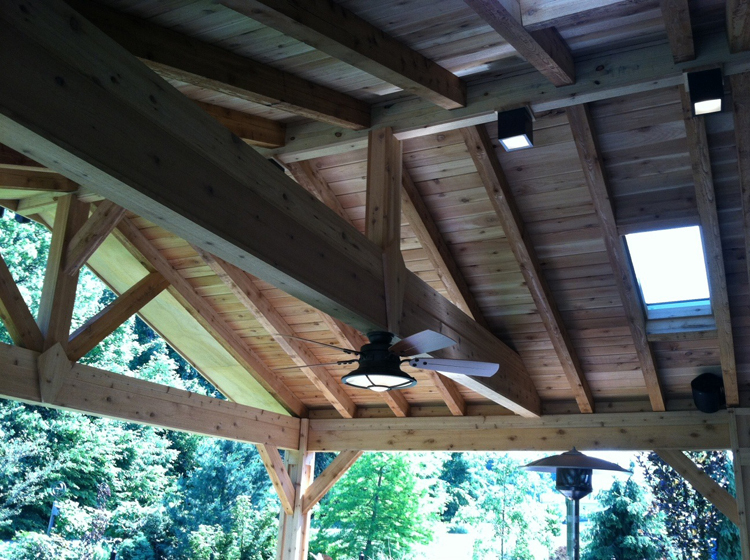 Just off the top of my head, I’d estimate that 90% of the pergolas we build are made of cedar. If you are building a Columbus porch and want a rustic look, you will enjoy the look of cedar on the ceiling, for knee walls or trim around posts. Any of those applications will give your room the feeling of a mountain ski chalet or hunting cabin. If you have ever stood in a cedar closet, you know what a warm feeling cedar gives you. While I don’t recommend cedar for the floor of your deck, it is absolutely a terrific, budget-friendly option to consider for other key elements of your outdoor living areas. It is less expensive than composites and, for a mere 15-20% cost premium over pine, you get a stable, beautiful natural wood product that is ideally suited to our local environment. Take a look around our website to see some of the stunning projects we have completed with this versatile wood. 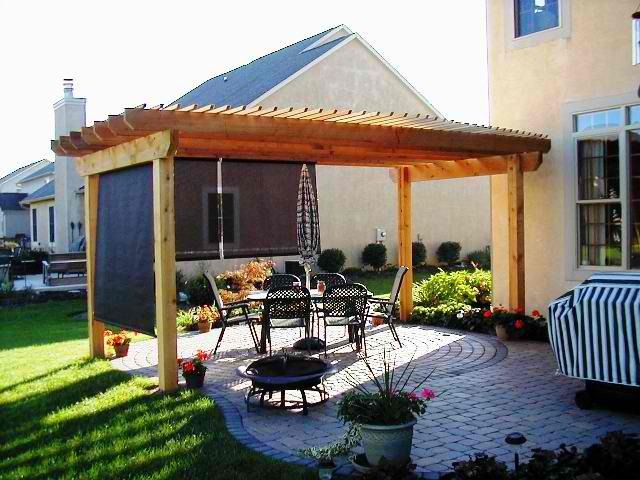 If you’re thinking about adding an outdoor living space to your Columbus backyard, give us a call to see how we can make creating your dream backyard an enjoyable experience, start to finish. The consultation is completely free. Call (740) 879 – 3730 or email us at westcolumbus@archadeck.net. We look forward to your call. Next Next post: One deck can get you two outdoor living spaces. Take a look at this one in Dublin OH!